Gateway Pharmacy has been serving the Bismarck-Mandan community and surrounding areas since 1989. We've proudly taken on the role of improving our community's healthcare by providing fast and personalized service. We strive to make every experience you have with us a great one. At our pharmacy, your family is our family. Our friendly staff is dedicated to ensuring that you receive expert care on every visit. Stop by today and experience our commitment to you. Our mission is to improve the health and wellness of our community by providing optimal pharmaceutical care to our patients in order to meet their unique needs. We are dedicated to our patients and strive to be an accessible, knowledgeable, compassionate and trusted partner in their healthcare team. Gateway Pharmacy is locally owned and operated by Mark and Susan Aurit. 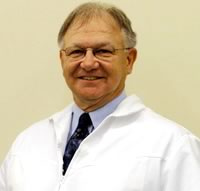 Mark is a native of Steele, ND and is a graduate of the North Dakota State University College of Pharmacy. For over 14 years, Mark worked for a large national chain pharmacy. Knowing that his customers could be better served, Mark decided to open a pharmacy of his own. In 1989, Gateway Pharmacy was born. More than 20 years later Gateway Pharmacy has grown to 4 locations, all conveniently located just inside Dan’s Supermarket. It has been a partnership that truly serves the needs of the people of North Dakota. Gateway Pharmacy provides a wide variety of services to its customers including free mail out and delivery service, competitively priced prescriptions with individualized counseling, an in-house compounding lab, adult immunizations, an array of health screenings and more. Gateway Pharmacy looks forward to providing you the highest quality, service, value, and attention that you deserve. Gateway Pharmacy, caring for you and about you.